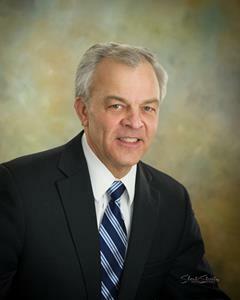 WILLIAMSVILLE, N.Y., April 03, 2019 (GLOBE NEWSWIRE) -- Today, National Fuel Gas Company ("National Fuel" or the "Company") (NYSE: NFG) announced that Ronald J. Tanski, President and Chief Executive Officer of National Fuel Gas Company, has indicated his intention to retire, effective July 1, 2019, after more than 40 years of service. He will continue to serve as a member of the board of directors. Ronald J. Tanski, President and CEO of National Fuel Gas Company, has indicated his intention to retire, effective July 1, 2019, after more than 40 years of service. David P. Bauer will succeed Ronald J. Tanski as President and CEO of National Fuel Gas Company. Bauer has served in numerous positions with National Fuel and its operating subsidiaries. He has been responsible for carrying out the Company’s financial strategy and has played a leading role in maintaining the Company’s fiscal strength and stability. As President of National Fuel Gas Supply Corporation since 2016, Bauer has overseen the Company’s pipeline and storage operations and key interstate infrastructure modernization and expansion projects. After more than 10 years at PricewaterhouseCoopers LLP and its predecessor, Bauer joined National Fuel in 2001. He holds a bachelor’s degree in accounting from Boston College. Bauer is a board member of the YMCA Buffalo Niagara, board member and audit committee chairman at D’Youville College, board member and finance committee member of the Canisius High School, and an investment committee member of the Catholic Diocese of Buffalo. National Fuel is an integrated energy company reporting financial results for five operating segments: Exploration and Production, Pipeline and Storage, Gathering, Utility, and Energy Marketing. Additional information about National Fuel is available at www.nationalfuel.com.